Last September 12th, 2018, after successfully completing the tests with load banks, the first 22 wind turbines of Cutía and Bento Miguel Wind Complex, located in the state of Rio Grande do Norte (Brazil), start running. This wind complex is being built by the Brazilian technologist WEG using the W12D HH 120m precast concrete tower solution, designed by Esteyco for the AGW 2.1 MW WTG. 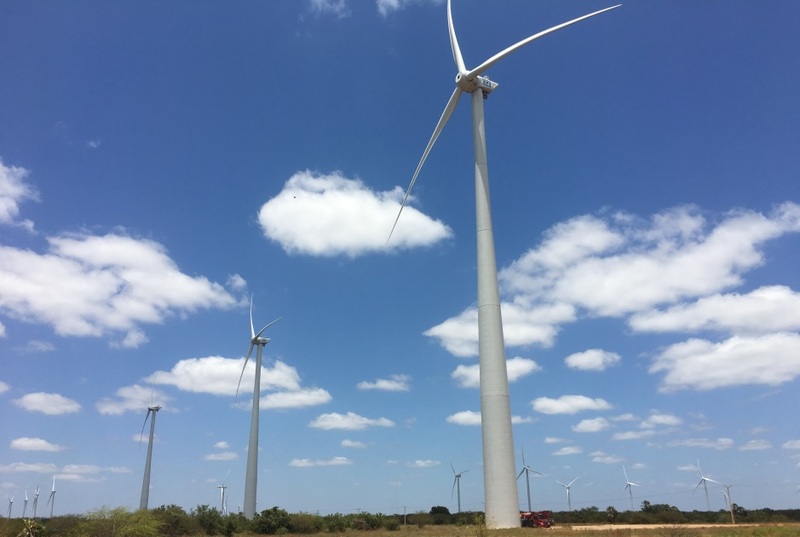 WEG has already built, using the same tower solution and designed by Esteyco, 41 towers in Bons Ventos da Serra 2 Wind Complex, in the State of Ceará (Brazil). The W12D tower designed by Esteyco, consists in 5 sections, formed by precast and prestressed panels, and raise the generator to a height of 120 m. The manufacturing process of the panels has been completely developed on site by the installation of a mobile factory located in the wind farm. Cutia and Bento Miguel Wind Complex, composed of 13 wind farms, has a total of 149 wind turbines and 312.9 MW of installed capacity. Currently, a total of 54 wind turbines are producing energy.